The Examination Department released the GCE A/L 2016 results on the Department website www.doenets.lk on Saturday morning and it will post the results to schools today. Commissioner General of Examinations W.M.N.J. 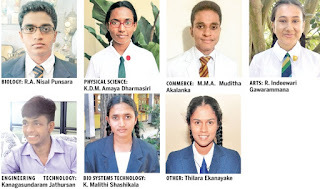 Pushpakumara said R. G. Nisal Punsara of Rahula College, Matara had obtained the best results in the Bio Science stream, while Amaya Dharmasiri of Maliyadewa Girls School, Kurunegala secured the top position in the Maths stream. Jathusajan of Skandawarodaya Vidyalaya in Chunnakam came first in the Engineering Technology Stream. Malithi Sashikala Dilrangi of Swarna Jayanthi Maha Vidyalaya, Kegalle scored the highest marks in the Bio-system technology. 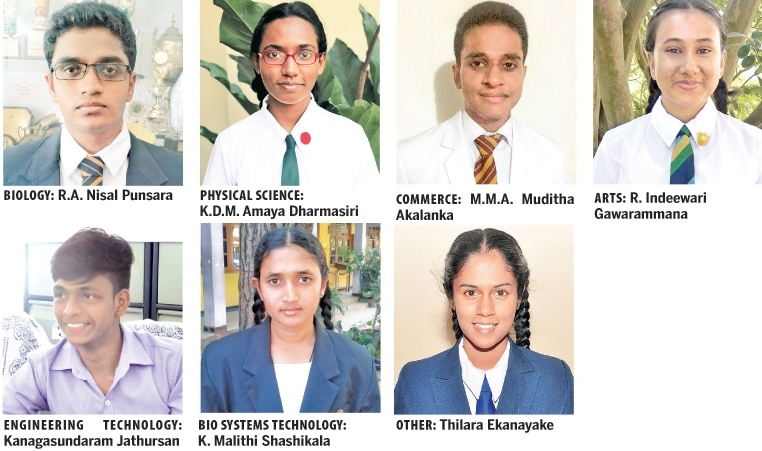 Thilara Ekanayake of Musaeus College secured top position in the Common stream. The GCE (A/L) examination was held in August and 263,550 students sat the examination at more than 4,000 centres countrywide. Special examination centres were also held at the Magazine Prison in Colombo and Suneetha Vidyalaya in Watareka, Padukka for those in prison custody. For the visually handicapped children Ratmalana Deaf and Blind School. The exam chief said applications for re-scrutiny of answer scripts would be accepted until Jan. 23. The University Grants Commission said that cut-off marks and Z scores would be released within two weeks after the release of recorrections. Common Stream – Dhanjaya Vimukthi Karunaratne of Pelpola, Thummodara (2nd Place) and K.G.S. G. Lahiru Sasanka of Uluvitake, Galle (3rd Place) – both private candidates.